Road Signs: A Quick And Easy Overview. Pass Your Permit Test! Brown: Recreational, historical, or scenic sites. Stop sign: You must always stop at a stop sign. 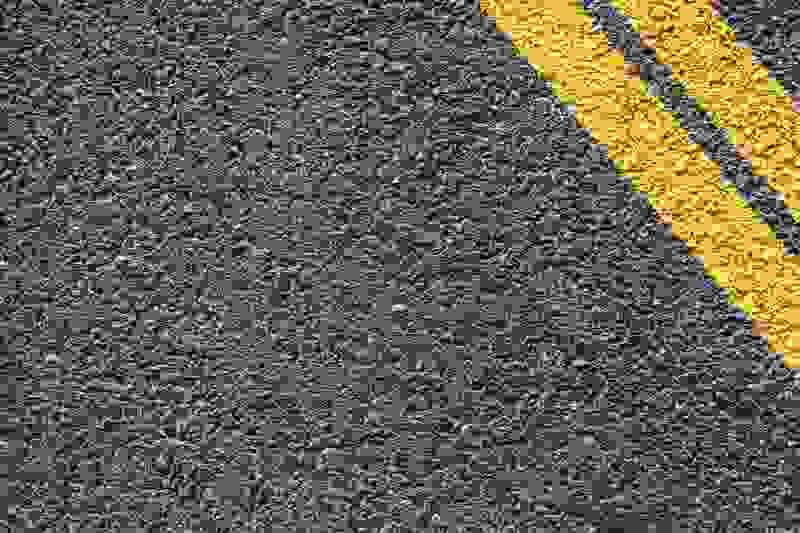 If there is a line painted on the roadway, you must stop before the line. Some stop signs will also have a smaller sign saying if it is a two way or an all way stop. You should completely stop your vehicle for at least two seconds, even if the intersection is clear. Yield: A yield sign means you need to slow down and yield to any oncoming or cross traffic. Yield signs do not require that you come to a complete stop. Instead, it indicates that you must give the right of way. So, if you approach a yield sign and there is cross traffic, you must stop until the roadway is clear. Do Not Enter: A do not enter sign means that traffic cannot drive on that road. It usually signals an exit or a one way road. Even though this sign is pretty clear, many people who are lost and aren’t familiar with the area tend to miss these signs and wind up the wrong way on a one-way road. Make sure you watch for these signs, especially in major cities with one-way streets. No Parking: You cannot park your vehicle in the area designated by this sign. If you see a no parking sign, that doesn’t mean you can “just run in for a few minutes” or leave your hazard lights on. Many no parking signs will post certain hours that you may or may not park in a given location, so make sure you pay attention to the timeframes parking is allowed. VIDEO: Why Are Stop Signs Red? Speed Limit: Speed limit signs will post the maximum allowable speed on any given stretch of roadway. Some speed limit signs, especially those on highways, will post minimum speed limits in addition to maximum limits. Legally, there is no margin of error with speed limits. The maximum posted speed is the fastest you are allowed to go and even going 1mph over the limit can get you a ticket. One Way: One way signs denote that the traffic only moves in one direction on that roadway. One way signs also usually include an arrow showing the direction of the traffic. Many drivers who are new to driving in large cities fail to recognize these signs as they don’t have any one-way roads where they live. So, anytime you visit a new area, pay extra attention to make sure you’re not turning the wrong way on a one-way-road. Do Not Pass: Do not pass signs mean that on that particular road you cannot pass the driver ahead of you. These signs are generally posted on two lane roadways where the oncoming lane can also be used as a passing lane. The do not pass sign indicates you are beginning a stretch of road where you are prohibited from using the oncoming lane as a passing lane. These signs can also be seen on multi-lane roadways, especially in areas where lanes are about to shift or merge. No Turn: No turn signs will tell you when you cannot make a left turn, right turn, or u-turn. These are typically seen at controlled intersections. Some stop lights are designed to only control cross traffic but does not allow for any turns left or right. These signs can also be seen frequently in construction zones where roads are temporarily closed or turns are otherwise prohibited. Must Turn: Must turn signals tell you that if you are in a particular lane you must turn a certain direction. Often times on multi-lane roadways, one of the outer lanes will turn into a right or left turn only lane. These signs will help warn you and give you enough time to get into a non-turning lane if needed. Road Closed: Road closed signs mean the road is closed to through traffic and you cannot drive there. These signs may be placed on roadways that are permanently closed or temporarily closed. Some roads are closed temporarily due to construction, flooding, major accidents, fires, snow & ice, and a slew of other possible reasons. VIDEO: How Are Speed Limits Determined? Median Warning: These signs let you know there is a median ahead and where you should drive to avoid them. This is most often seen in areas where a 2 or 4 lane road turns into a divided highway. Sometimes you will need to briefly “swerve” to one direction as the roadway splits. These warning signs give you advance notice of the maneuver, especially for when driving conditions are poor. Stop Ahead: A stop ahead sign warns if there is a stop sign or a stop light coming up so you are prepared to stop. Many stop signs are located around curves and/or over hills and can’t be seen quickly enough to come to a safe and controlled stop. These signs allow you to begin slowing down even before you can see the stop sign. Coming to a controlled and smooth stop will help to reduce wear and tear on your vehicle as well as reduce chances of accidents, especially rear-end collisions. Pedestrian Crossing: Pedestrian crossings mean that there is an area where pedestrians frequently cross the road. Generally pedestrians have the right-of-way in a crosswalk, so if you are able to safely do so, be sure to slow or stop to allow the pedestrian to cross the roadway. Nearly 5,000 pedestrians are killed annually due to car vs. pedestrian strikes and many more are injured after being hit by a vehicle. Two Way Traffic: This sign means you are on a two way road without a barrier, so stay in your lane. This sign is most frequently seen after a divided highway or multi-lane roadway merges into a two lane road with opposite vehicle travel in each lane. It can be especially difficult at night to realize that a divided highway with passing lane has reduced to just one lane in each direction. Railroad: Most railroad crossings will have a warning sign placed about 500ft before the crossing. This warning sign is meant to give you prior warning that a rail crossing is up ahead. Many rail crossings are very bumpy and can cause a loss of control, so prepare for a possible jolt. This is also the time you’ll want to look, listen, and live! Don’t rely on railroad crossing signals to be functioning properly. They can and do fail, so clear the crossing yourself before you cross. Animal Crossing: Animal crossing signs signal that there is a high volume of animals in the area and that you should be ready for them to cross the road. Typically the sign will show a picture of the type of animal that is most commonly seen in the area. These signs are normally posted at known animal migration points and areas of roadways where animals are more likely to cross. VIDEO: Do Pedestrians ALWAYS Have The Right Of Way? Mile Marker: Mile markers are normally only found on interstates and highways, but these signs can be seen on any roadway from congested city streets to, more commonly, rural single lane roadways. Most drivers pay no attention to these seemingly insignificant signs, but they are very useful during emergencies so you can quickly tell a 9-1-1 dispatcher exactly where you are. Mile markers on Interstates will start with Mile Marker 1 on the East side and continue up for every mile across the state. On the other hand, Mile markers for North/South roads will begin with Mile Marker 1 on the North end of the state and count each mile to the south. Exit Sign: On highways, expressways, and other roadways with exit ramps, you will see an exit sign. Exit signs are required on the entire U.S. interstate system. In most states, exit signs will also show a number. This number almost always correlates with the nearest mile marker, but there are a few states that simply list exit numbers in numerical order no matter what mile marker it is near. Street Sign: In some areas, street signs can be shown in colors other than green. For example, some city, state, and national park roadways might be shown in a brown color. Other roads which have been renamed in someones honor could be a different color as well. However, the vast majority of street signs will show the name of the roadway in green and white. Freeway Interchange: Freeway interchange signs help you choose the proper lane before entering an area where freeways come together. It’s important to pay attention to these signs as they will indicate in advance which lane you will need to enter in order to stay on your existing freeway or change to a new one. Local Information: Information signs are usually found on freeways and highways. They are normally placed before an exit to show what services are available. These signs can tell motorists if there is lodging, gas stations, food, hospitals, airports, and other services. Some local information signs will also give specific names of service stations, restaurants, etc. At the end of an off-ramp, you will normally see blue signs with arrows pointing in the direction of where you can find those services. Emergency Telephone: While not as common since the advent of cell phones, many rural roadways, highways, and expressways have emergency telephones on the side of the roadway. These phones are still extremely important for those driving in very rural areas where cell phone reception is minimal. Emergency phones are not to be confused with calling 9-1-1. You can use an emergency phone for non-emergency situations such as if you ran out of gas and need assistance. If you do need to use an emergency phone, be sure to pull as far off the roadway as possible and activate your 4-way flashers. Handicapped Parking: Handicapped parking can only be used by obtaining a permit. Handicap parking areas are marked with blue signs and if a proper permit is not displayed, you can be ticketed. And let’s be real here… parking in a handicap area just makes you an inconsiderate person! Yes, it can get frustrating if you can’t find a close parking spot, but please don’t be “that guy” and park in a handicap zone! Rest Area: Rest areas can be found on any roadway, but they are most common on the U.S. interstate system. Many rural roadways that go long distances without any services will have rest areas as well. Rest areas vary greatly in quality and the services available will vary as well. Some rest areas have full service restaurants and gift shops while others will simply be a parking lot without any bathrooms. Most rest areas that provide no services, like bathrooms, will give notice on the sign. Scenic Overlook: Unlike rest areas, scenic overlooks generally do not provide any services and are only parking lots. What they do provide are some of the most beautiful views in the country. Our nations roadways cut through all sorts of terrain from deserts to mountains to coastal waters and vast open plains. If you’re taking a road trip, make sure you leave enough time to check out these scenic overlook areas. In the vast majority of cases, you’ll be glad you did (and your legs could use a stretch anyway!). Historical Site: While America is a rather new country compared to the rest of the world, we still have our fair share of historic events. Historical sites can range from a single tree that has some historical significants all the way up to full fledged museums, ghost towns, monuments, and a whole slew of other historical markers. Many of these historical sites are ones you would never know about and most, even the seemingly insignificant ones, are more interesting than you might think. National Parks & Public Recreation Areas: The United States is home to some of the most beautiful national parks in the world and many of our countries roadways go right through them, offering amazing experiences for those choosing to make some stops and literally smell the roses. When entering a national park, you will see a brown sign indicating the national park you are entering. You will also see signs pointing to national parks that are nearby. Brown signs will also indicate recreation areas such as boat launches and beaches. Road Work & Construction Zones: Road work ahead signals that you are about to enter an area with construction. These signs usually state the distance before you reach the road work. Major roadwork areas, especially on highways, may be posted 10 or more miles in advance and continue warning you as you get closer. Small construction jobs and more temporary construction areas may give less than one mile notice. Make sure you watch for speed limit reductions as fines are usually doubled in construction zones with very heavy enforcement. Dozens of roadway workers die each year because vehicles hit them, so slow down and pay close attention. Orange signs will continue to be posted to give you instructions as you proceed through the construction zone. Detour: Roadways need a lot of repair and sometimes they need to be closed for major repairs. Roads can also be closed due to special events such as parades. In most cases, a “detour route” will be set up. Pay attention along your route as orange signs will point you in the right direction and the best way to get around the detour. Driving on a closed road is a huge fine and very dangerous, so don’t do it! Road Closed: Unlike detour signs, a road closed sign does not give you an alternate route to take. The road is simply closed and you are left to figure out a new way to go on your own. Some signs will say “road closed to thru traffic” which means the road is closed unless you live on that road or you are going to a business that can only be accessed on the closed road.